Last year, several major Hollywood studios, Amazon, and Netflix filed a lawsuit against Dragon Media Inc, branding it a supplier of pirate streaming devices. 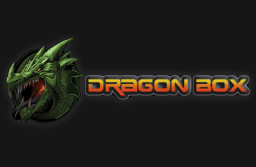 Dragon Box swiftly responded to the allegations by halting its sales. The company later decided to change its business model, moving from a Kodi-addon platform to a subscription-based service called BlendTV. The box vendor maintained that this was perfectly legal, but the copyright holders clearly disagreed. This prompted Dragon Box to halt its sales again. That wasn’t the end though. Last month the boxes returned with yet another service called “My TV Hub.” According to the Hollywood studios, this service is not legitimate either. Growing tired of this “whack-a-mole” they asked the court to intervene. The ACE members requested a preliminary injunction to halt the infringing activity. It appears, however, that this is no longer required. A few days ago, Dragon Box’s attorney informed the court that they’ve agreed to settle the matter. “Defendants respectfully notify the Court that the parties have agreed in principle to settle the above-entitled case,” attorney Matthew J. Faust writes. “At this time, the parties are in the process of preparing a settlement agreement and intend to file the documents related to the final disposition of the case within the next few days,” he adds. The court responded to the filing by vacating all other hearings and deadlines that were on the docket. However, given the history of this case, it’s probably wise to wait until all paperwork is filed before marking it as resolved. At the time of writing the Dragon Box website remains online. The boxes themselves are no longer listed for sale, but the site does link to a “Blend TV” subscription which prospective users can buy. A spokesperson for ACE informed us that they would release more information on the matter in the near future. We will update this article when that arrives.